The action marks the second time U.S. Navy vessels pass through the waterway within a year. 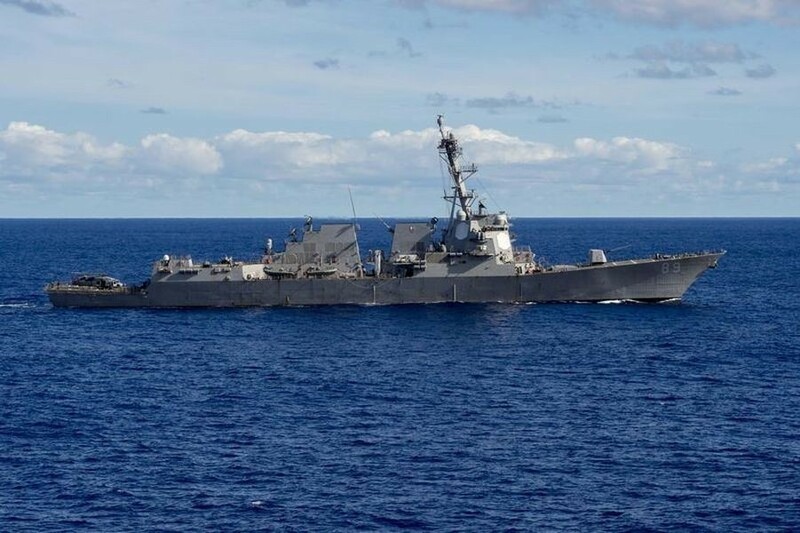 TAIPEI (Taiwan News) - Taiwan's Ministry of National Defense (MND) confirmed Monday evening (Oct. 22) that two U.S. warships were moving northward from Eluanbi through Taiwan Strait. The passage took place two days after a Reuters report revealing the plan of Washington to dispatch warships to sail through the waters. MND issued a statement in the evening saying two U.S. military vessels are traversing the Taiwan Strait, which is an international waterway, as a routine operation, but gave no further details about the passage. "Earlier today, the USS Curtis Wilbur (DDG 54) and USS Antietam (CG 54) [a guided missile destroyer and a guided missile cruiser] conducted a routine Taiwan Strait Transit in accordance with international law. The ships' transit through the Taiwan Strait demonstrates the U.S. commitment to a free and open Indo-Pacific," Army Col. Robert Manning, a Pentagon spokesman was quoted as saying by Stars and Stripes on Monday. The MND emphasized that it has full knowledge of the passage near and on waters controlled by the country, and has the capability to maintain peace and stability of the country's territorial waters and airspace over it. The operation is said to ensure the U.S.’s free passage through the strategic waterway, according to a Reuters report on Saturday.